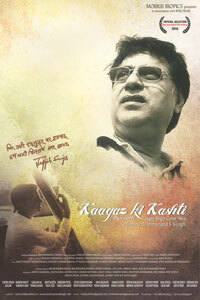 Kaagaz Ki Kashti traces the life journey of a down-to-earth, small-town boy, who made it big by breaking through the norms and revolutionising the Ghazal scenario, by texturing traditional Ghazal singing with western instrumentation and making it simple and hummable, enticing new listeners into becoming Ghazal fans. Tracing three converging tracks … the struggle and stardom in his musical career, the love & loss in his personal life and the scope and limitations in the music scenario of the times. 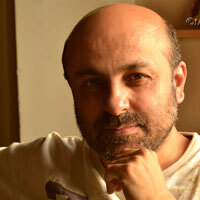 Brahmanand S Siingh is an award-winning filmmaker (producer-director) and writer based out of Mumbai. His National-Award winning (among many other awards and accolades) feature-length documentary on RD Burman, Pancham Unmixed: Mujhe Chalte Jaana Hai, continues to enjoy an amazing sweeping critical and popular acclaim across viewing platforms. 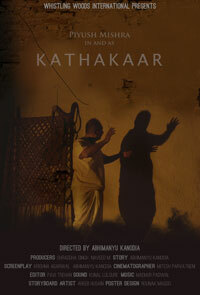 Ragpickers; Uncaging the Body (Apsara Award for Best Short Film, 2003-2004); A Burden of Love (on Alzheimer’s disease); Ashgari Bai (on an octogenarian legendary dhrupad singer) and a whole lot of other short, corporate and documentary films have also drawn great response, noted for its sensitivity, authenticity and engaging quality. 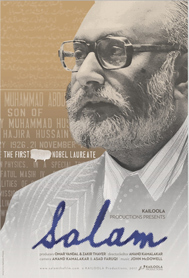 An old theatre projectionist is fired from his job and has to come back to his village. Struggling with what to do with his life, he one day narrates a story for a crying kid. Slowly he becomes the favorite story teller in the village and rediscovers his passion. Born at Ajmer, Rajasthan on 31st December, 1988. After class 12th exam, he moved to Mumbai, India to take up Chartered Accountancy course and completed it in year 2013. In 2013, he joined Mumbai based film school Whistling Woods International to study filmmaking. He graduated in July 2015 with a major in Direction.